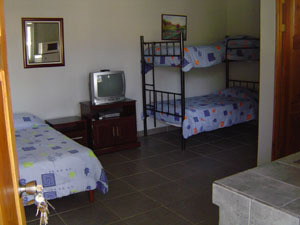 We offer oceanfront cabinas with all of the amenities of the larger rooms. 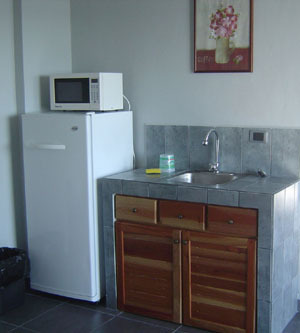 The cabinas are all standard with cable tv, hot water, kitchenettes, air conditioning, and in room safes. 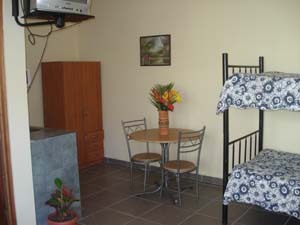 There is a double bed as well as two bunk beds. We have daily maid service included. Relax in the room or by the oceanfront pool.